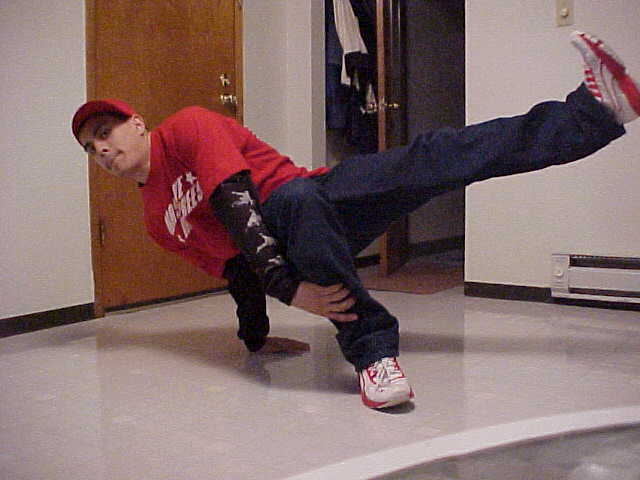 b.boy chronology: Basically I started dancing the middle of my sophomore year in high school. In the beginning I was inspired by all Seattle dancers and the one video that Seattle had in circulation. Fever's ultimate bboy video. It had old school footage of RSC and NYC Breakers. 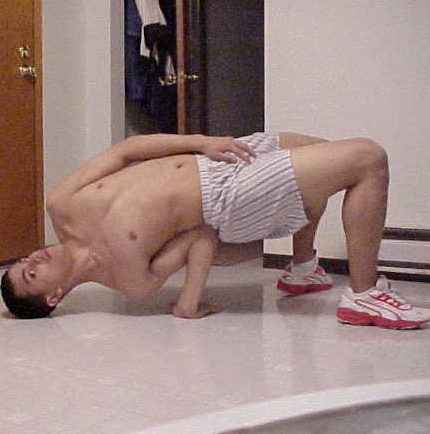 This was the basis of everything I learned in the first year or so of dancing. My main inspirations as of today are Ken Swift, Wicket, Ariston, and Poe One. Out of Seattle: Fever, Tony, and Boss crew. 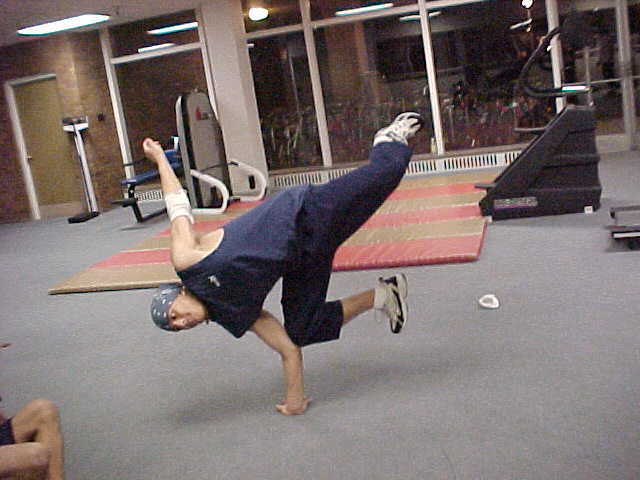 I don't feel as if I turned into a straight bboy until around '98 or '99. You just know when you really love it, and that's what happened. I started out with Massive and now I'm a Massive Monkee. But I'm also part of Foundazians and Broken Backs Crew. peace to all my beezows boyeeeeeeeeee!